Fiverr® is a unique marketplace with one of the highest conversion rates in the industry! The wide range of services, including over 100 sub-categories, gives you the power to work with wide range of audiences. Offer: Need Graphics & Design help? Shop the world's greatest creative talents on Fiverr! Services starting at $5! Join the Fiverr program and start earning up to $7 per transaction! Offer: Enjoy up to 20% early booking discount for booking your holidays of the summer 2016 in our all-inclusive resort in Lanzarote. 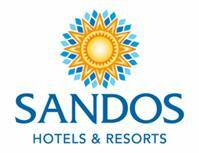 Join the Sandos Hotels & Resorts program today and start earning up to 7% commission! Join the Millennium & Copthorne Hotels program today and start earning up to 6% commission!